With the Christmas Season winding down, and all the presents opened, and fun had all around, at least a few Steam or Gamestop gift-cards are likely to be passed from one person to another. With all the potential options on what to use that money on, one of the bigger games of the past few years may come to mind: Rocket League. But for those uninitiated in the motor-sport fusion game, it can seem an odd choice, and for only $12, can it really be trusted? 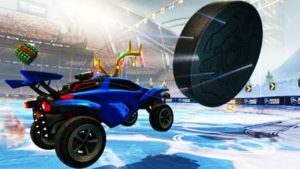 Here, we take a look at Rocket league, and see if it’s worth investing some of that Christmas cash on and maybe even grabbing a couple Rocket League Crates. Cars, Jet Engines, and Soccer balls. Interested yet? Rocket league is a mixture of things that really shouldn’t go together, but somehow work to produce what many (including myself) see as a great fantasy sports game that takes ridiculous shots to a whole new level and makes you think in all three dimensions. Technically a sequel to Supersonic Acrobatic Rocket-Powered Battle-Cars, what a mouthful that is, there is absolutely no need to play the previous game as this is an experience all onto itself. Players are given control of highly customizable “Battle-Cars”, which seem similar to RC Cars, with massive boosters behind them and plenty of tools to use on other players, all with the goal of reaching the other side of the field with a ball, and scoring a goal. Whether you decide to race or fly down the field, or even manage to go sideways across the spectator’s protection wall is completely up to you. There’s no wrong way to play, as Physics has seemed to take a hike for the duration of the match. As for features, this game is somewhat unique as it’s among the first to allow cross-platform play. Do you have a PS4 and your buddy an Xbox One? No problem, you can both play together seamlessly or compete against eachother to settle who has the better console (spoilers: PC always wins out). 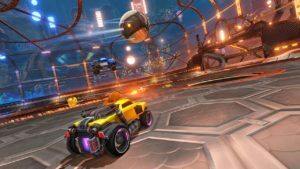 Rocket League also brings back a feature from many of our childhoods: Proper split screen play that has been missing from many games for a good number of years, so you can play with up to four friends locally. In case you want to show off to the world, there’s also replays with free cameras that can allow you to record the perfect shot and then edit on your PC to create highlight reels that would make ESPN proud. With that out of the way, let’s talk some first hand experience about Psyonix, Inc.’s rocket fueled sports game, Rocket League. 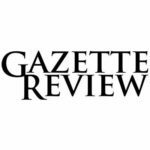 I would like to start out this review with the following: I am not a sports gamer. I likewise am not a gamer that typically likes cars or racing games, the last one I played was some years ago, and ever since I’ve been into Mobile, RPG, RTS and Action games. So, when downloading Rocket League all I could think was “maybe this is a great game, but probably it’s not for me”. Once the game did in fact download, I was somewhat surprised with how fun the game was, despite a fun hang ups. First worth mentioning is that matchmaking is still incredibly fast for Rocket League, even for complete rookies. This may be due to the rather short rounds – only a few minutes each, and the fact that the rounds are so very addictive. Despite the fact that most the arenas are basically the same thing (some hills, traps, or canyons would do well), the aesthetics of the arenas themselves are quite nice. As for the gameplay itself, it really comes in two flavors. The first is what’s common in most public servers: Everyone boosts towards the ball and try to touch it, making a giant V8 dogpile until such time as the ball finds its way into the goal. This can be either frustrating or easy to manipulate depending on what kind of player you are. I found that having a near full boost and keeping distance until you can jump and flip to strike the ball from the center into the goal will in general get you MVP status in short order. Likewise, being a defensive player at your own goal may be slow, but can generally ensure victory as the rest of the field are much like preschoolers cranked on Pixie Stix, giving thought to nothing but running, jumping and chasing the ball. The second flavor is one where the game really can shine. If you can coordinate your own team and the opponents can theirs, this game suddenly becomes a great deal more complex as it goes from a dogpile to a competitive dance where flips and spins can counter eachother, and measured use of ramming your opponents can cause them to goal on themselves or lose control of their vehicle. For this reason, I would almost always suggest playing with a friend; it increases your chance of winning, or meeting a challenge and making things interesting. In regards to the playing community (which is a core part of the game itself, for better or worse), a vast majority of players seem to be rather nice and forgiving of rookie errors, though there is the usual assortment of braggers, sore losers and the like. Unfortunately, whenever someone leaves the game, a bot replaces them and unlike most games, it’s clear the bots are out there to win, usually having more control and aggression than the player they just replaced. Trying to combat this is somewhat complicated by my biggest complaint of the game: Camera angles. Camera Angles have been consistently a problem for games with complex motion. If anyone remembers Mirror’s Edge for example, the camera would always be placed in a bit of a confusing spot and when 3D gaming really came into its own with Mario 64, I’m sure we can all remember how frustrating it was to try and work the camera to get a decent view of what you needed to assess. The same is true for Rocket League, as you are only given two camera options. These are either directly behind you (which makes losing the ball remarkably easy) or tracked onto the ball which can make for plenty of messy collisions and potentially losing your car to a predatory charge from the enemy. If you do end up winning matches even on a semi-consistent basis, there is no leveling aspect, which makes it a bit more fair to rookie players. Instead, you can make cosmetic upgrades to your car (from flags to hats to actual car models) which can help you show off your prowess a bit, alongside the skill that comes with getting used to 3D maneuverability. Overall, there’s a lot to like with Power League, but there are plenty of things that can be improved on with another iteration. DLC, which is now readily available, does allow for things to be switched up a bit more, so getting Game of Year Edition (on sale on Steam for around $15 currently) may be a fine idea. What Kind of Player does Rocket League Appeal to? In general, I would say this game can appeal to a wide variety of players so long as they don’t mind losing from time to time, and are not genre specific with their gaming. Rocket League is a game you can either be very competitive with or zone out to while still having a good time, and on each team there’s bound to be a few people doing either one. For those who want a great deal of leveling and achievement in game, there’s not much besides the cosmetic aspects that show any real progress, but if you are looking to fill out an achievements cabinet, this game has a great deal of them (over 80 in steam) that can certainly fill out a profile nicely. This game is easily accessible for people of all ages, but do keep in mind audio chatter cannot be sufficiently predicted for children if you want to try and watch what sort of language they are exposed to. Do I need a Gaming PC to run Rocket League? One of the really neat things about Rocket League is that it doesn’t require a state of the art PC and thus can be a great entry level game. As a general rule, if you have a mid-tier PC (or console) that’s been made in the past few years, you can play. That being said, due to the high amount of speed and action of the game, a solid internet connection can ensure you are able to play without automatically losing to someone just because of a better connectivity. Overall, I would have to say I’ve enjoyed my time with Rocket League, despite some problems therein. For what it is, it’s quite the novel effort and I would give it an 8.5 out of 10, and recommend it to anyone looking for a game they can either spend 10 minutes or 10 hours playing. Also, given the price of $15, even with DLC if you can find it on sale, I’d say there’s a good bit of content for the money, especially considering some games have you pay $60 for only part of the game, then another $60 for DLC, and another $200 for all the “loot boxes”. 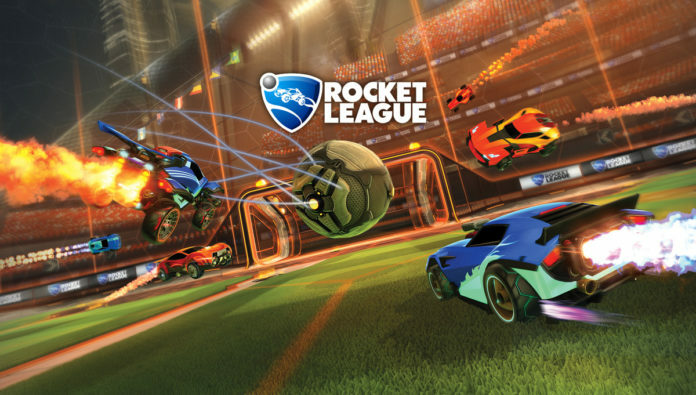 I do believe Psyonix has a winner on their hands with Rocket League, and you will too if you decide to pick it up.